The Airis Q1 Dip Atomizers are the innovative touch coils that are included with each Headbanger Vaporizer Kit that are perfect for quick and stealthy sessions on the go. 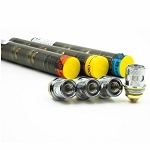 They have a ceramic construction for optimal heat retention and a cutting-edge fritted glass quartz tip that quickly heats through concentrates while creating an ultra thick and flavorful vapor. 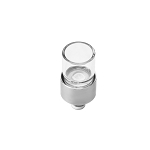 The advanced fritted glass quartz design sets a new bar for concentrate vaping. It heats your material to the point that it melts and absorbs into the quartz, increasing surface area for greater efficiency and a new level of flavor quality. 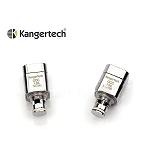 Using the Q1 Dip Coil is also extremely convenient. There is no need to pack or load it beforehand, all you do is dip the quartz tip into your concentrated material, begin heating and enjoy. Fast delivery will buy again. Man nothing like a clean dip tip on the Head Banger, these are authentic and work like the one that came with the Head Banger, with rewards and discounts this is the best place to get the tips.. Arrived quickly, and I love that they're individually packaged!